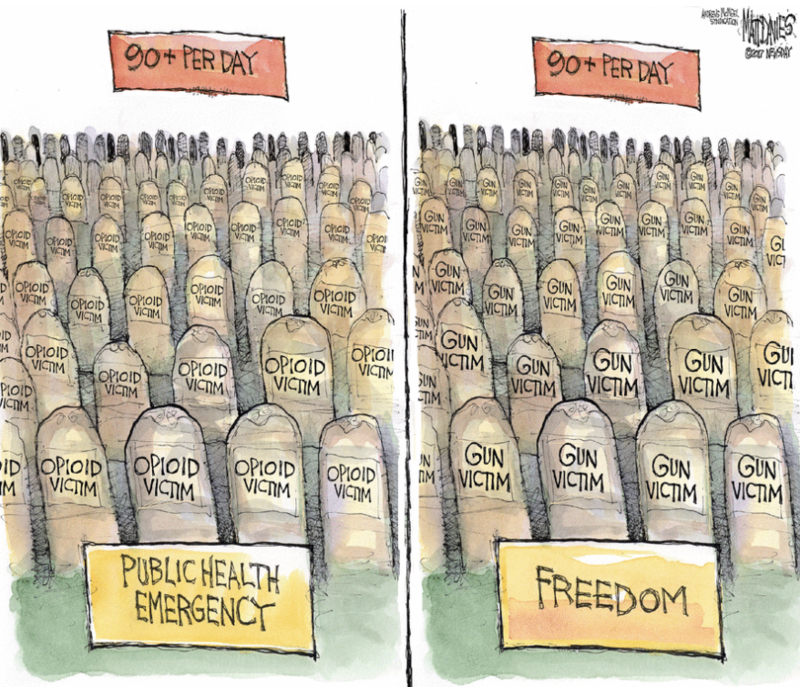 BTW – as a gun-owner for 60 years – I endorse this cartoon . Best way to “friend” someone in Congress? Give them money! ❝ Want a favor from a member of Congress? Give him money. 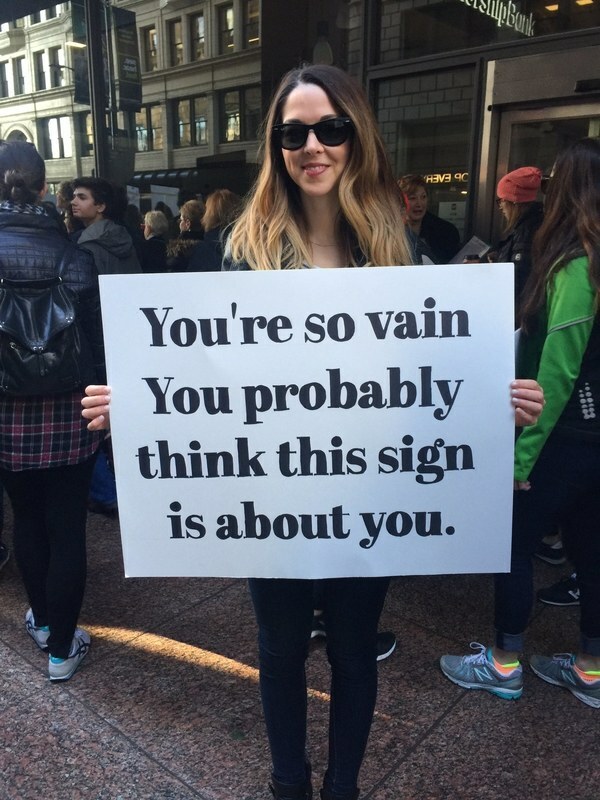 That was the advice Mick Mulvaney, the acting director of the Consumer Financial Protection Bureau and head of the Office of Management and Budget, gave to a group of some 1,300 bankers and lending industry professionals at a conference in Washington, DC. ❝ The payday lending industry donated more than $60,000 to Mulvaney’s past congressional campaigns. 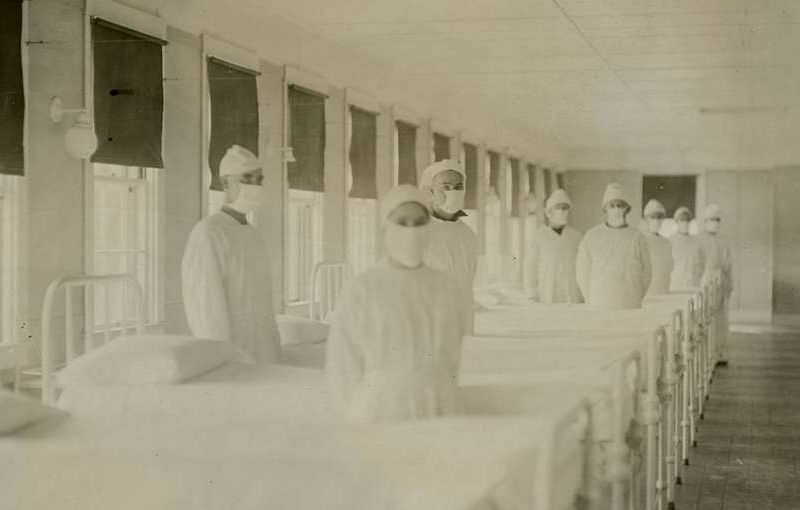 A 2006 study at the Center for Health Security examined the potential impact of a 1918-type pandemic a century later, based on updated U.S. population figures and the current health care system. “At the peak of the pandemic in the U.S., we’d have seven times more people in need of ventilation than we have ventilators, and seven times the number of people needing intensive care than we have intensive care beds,” Inglesby said. The relatively mild pandemics of 1957, 1968 and 2009 killed between 12,000 and 70,000 in the U.S. The severe 1918 pandemic killed up to an estimated 50-100 million people worldwide, including about 675,000 in the U.S. Deaths a century ago were primarily attributed to lack of a flu vaccine, lack of antibiotics to treat superimposed bacterial pneumonia, and the absence of basic medical supplies that we take for granted now, like oxygen, IV fluids and mechanical ventilation. Since then, improvements include effective treatments for pneumonia and emergence of vaccines that can generally be developed for a new flu strain within six months. Studies show that vaccines reduce flu risk from 40 to 60 percent—and scientists constantly seek to make them faster and more effective. RTFA. It might also be useful to have a Congress with elected officials who care more about healthcare than squeezing out another few buck$ in tax breaks for our biggest corporations, wealthiest denizens of Wall Street. Of course, that would require more than the 2-Party dead end we get lost in every couple of years. Few people were surprised…when the Trump administration issued a rule to make it easier for some religious employers to opt out of offering no-cost prescription birth control to their female employees under the Affordable Care Act. The difference is that Trump and the GOP have a couple of serious donor organizations opposing a number of women’s rights accepted for decades – but, they haven’t managed to fill in the blanks for religious exemptions our cowardly government allows. Ain’t likely to make it past the smell test in court. Just waste more time and money. But, this will assure rightwing moneyboys that Uncle Sugar’s favorite populist pimp is doing what he’s paid to do – outside the government payroll, that is.